When it comes to genetic modification of plants, the soybean initially comes to mind. GM soybean is one of the most widely planted genetically modified plants in the world today. The GM soybean, otherwise called as the Roundup Ready (RR) soybean, was developed by the biotech giant Monsanto and made it commercially available to farmers in 1996. It was developed to make the plant survive being sprayed on with the non-selective herbicide, Roundup, which can kill conventional soybean plants. The GM soybean from Monsanto was modified by introducing a copy of a gene from the Agrobacterium sp. strain CP4. Conventional soybean has a similar gene in its DNA but is sensitive to glyphosate, the active ingredient of the herbicide Roundup. With the insertion of the CP4 version of the gene, the GM soybean was able to develop resistance to the Roundup herbicide. The use of GM soybeans in farms around the US steadily grew. In 1997, only eight percent of soybeans cultivated for the US commercial market were genetically modified. But by 2006, the use of GM soybeans has grown to an incredible 89 percent. In the world market, GM soybeans now dominate in terms of total production annually. What makes GM soybean an important crop is that its many by products are being used in the manufacture of other food products. Soy is widely used worldwide to feed livestock. Soybeans as feed provide the protein needed by livestock to grow. 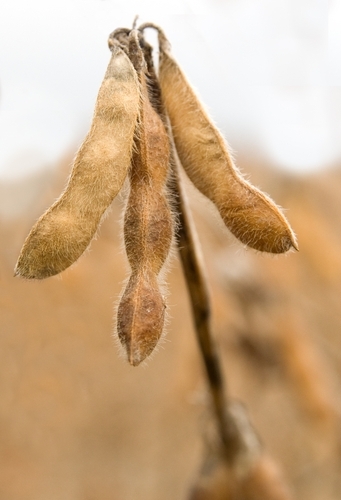 Soybeans also find their way into oil mills where the oil is extracted and further refined for edible use. Other byproducts coming from soybeans are processed to become essential food ingredients and additives. Most processed foods today may likely have a soy byproduct as an ingredient in one way or another. The biggest producers of soybeans in the world can be found in North and South America. The United States, Argentina and Brazil are considered as the major producers of the world’s total soybean supply. The United States and Argentina are also considered as the countries that are almost exclusively into planting GM soybeans. In these countries, the cultivation of GM soybeans is treated just like conventional soybeans are planted in farms without much restriction. With the major producers of soybeans cultivating the genetically modified type, it is not so hard to imagine that most food products containing soybeans as ingredients may likely contain GM soy. This has alarmed quite a number of consumers still in doubt on the safety of genetically modified crops being used as food. But to date, there has been no harmful effects on health yet found on the use of GM soybeans on humans. The lack of proper labeling of GM foods may be a source of fear for most people today since more of them are becoming more vigilant and more conscious of what they are eating.